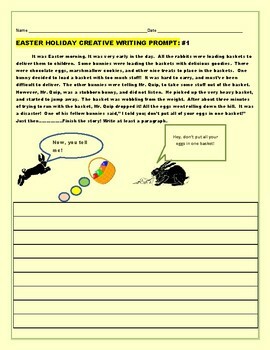 This prompt is about a bunny who put all his eggs in one basket. Students finish the story. Have fun! Happy Easter, everyone!